Secret Smiles is an innovative lingual braces system. Unlike traditional fixed braces, lingual braces are fitted to the back surface of teeth, which means that they are virtually impossible to see. Secret Smiles braces are generally recommended for mild or moderate cases and treatment can be complete within just 6 months. Secret Smiles braces generate forces, which cause the teeth to move into position. 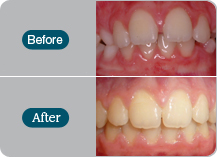 The lingual braces are applied to the back of the teeth so that they cannot be seen when you smile. As the shape and contours of the lingual side of the teeth are different the brackets are fixed one by one; the wire is then threaded through to support the brackets. Invisibility: Lingual braces are invisible when you smile because they are applied to the back of the teeth, not the front teeth as with traditional fixed braces. This treatment is very popular with people who have previously been put off having treatment because they were worried about how they would look when wearing braces. Treatment time: Treatment may be complete within just 6 weeks. Comfort: Secret Smiles braces are light, the brackets are small and fine. There is also no need for painful adjustments or appointments to tighten the braces. How much do Secret Smiles braces cost? 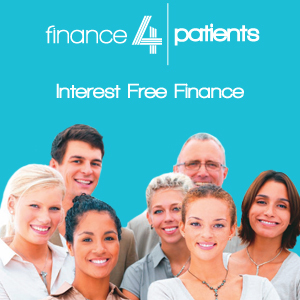 The cost of treatment varies according to the individual and how complex the case is. One of our STb lingual braces dentists will discuss the cost of treatment at the consultation stage. Are Secret Smiles lingual braces suitable for everyone? 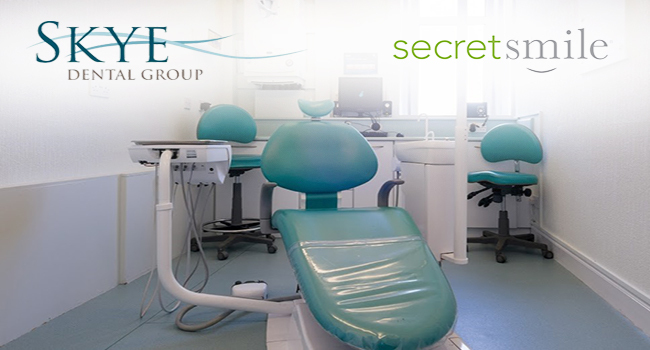 Secret Smiles braces are designed for patients who have mild or moderate orthodontic problems; if you have a more complex prescription you may be advised to consider other treatments. Secret Smiles braces are designed to be as comfortable as possible. It may take a little while to get used to wearing the braces but you should soon get used to them. Your speech may be mildly affected to begin with and the braces may feel a bit odd, but you will soon get used to them. Give us a call today to find out more about Secret Smiles braces.